Ready to start building Dapps? Dive deep into blockchain development. All What Is Bitcoin? What Is a Blockchain? What Makes Bitcoin Valuable? What Are Bitcoin Wallets? How to Keep Bitcoins Safe What is an Altcoin? Is Bitcoin Anonymous? Is Bitcoin a Good Investment? What is Bitcoin Mining? How to Get Bitcoins Is Bitcoin Legal? Bitcoin and Taxes What Is an ICO? Who Created Ethereum? What is Ripple? What Is Ether? What Is Bitcoin? What Is a Blockchain? What Makes Bitcoin Valuable? What Are Bitcoin Wallets? How to Keep Bitcoins Safe What is an Altcoin? Is Bitcoin Anonymous? Is Bitcoin a Good Investment? What Is an ICO? Who Created Ethereum? What is Ripple? What Is Ether? The relatively high transaction fees on the Bitcoin network were a major topic of conversation last year, but these fees have been plummeting so far in 2018. According to data from CoinMetrics, bitcoin miners are now collecting less than a third of the value they were collecting in fees at one point in December 2017. So what’s causing this decline in the costs of on-chain transactions? Is it as simple as declining demand leading to a lower price? Are there other factors at play? Let’s take a closer look. In 2017, the congestion on the Bitcoin blockchain led to a bidding war over block space, especially as speculative interest in bitcoin continued to rise over the course of the year. 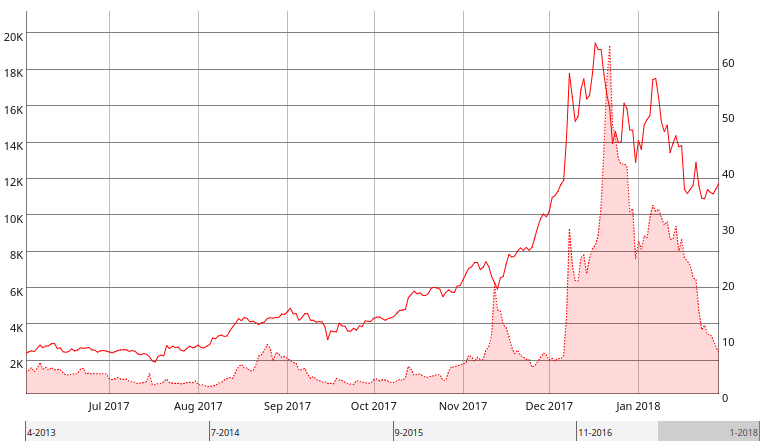 According to CoinMetrics, bitcoin transaction fees started 2017 at an average of $0.30, but they eventually peaked at over $40 in December. As the price tripled during a month-long stretch from mid-November to mid-December, those who were purchasing bitcoin for the first time simply did not care about how much they were paying in on-chain transaction fees. This chart from CoinMetrics shows the bitcoin price and average transaction fee. As the speculative frenzy around the bitcoin asset has calmed a bit in 2018, the number of transactions broadcast to the Bitcoin network has also declined. According to data from Blockchain, the number of transactions added to the mempool per second has declined by nearly 50 percent from the December highs. The number of transactions added to the mempool per second is at the same levels as May 2016. Data via Blockchain.info. It’s possible that bitcoin fees are now lower simply because the FOMO around getting some bitcoin before the price goes to the moon has subsided, leading to a decline in demand for block space. Since transaction fees are denominated in bitcoin, a falling bitcoin price can also mean a decrease in U.S.-dollar denominated transaction fees. This chart from CoinMetrics shows the level of correlation between transaction fees denominated in bitcoin and U.S. dollars. Although the reasoning behind the drop in transaction fees seems pretty straightforward, there could also be other factors at play. One explanation that has been floated on social media is that a large amount of new hashing power has come online, which has increased the frequency at which blocks are found. This would effectively increase the capacity of the network. The average number of blocks mined per day should be around 144, based on the 10-minute block time target, but around 164 blocks were mined per day in the month of January 2018. However, this is not a new phenomenon. As BitGo engineer Mark Erhardt recently pointed out on Twitter, Bitcoin has long operated at a rate faster than 10 blocks per minute due to the fact that adjustments to the mining difficulty are only made every two weeks. As more hashpower is added to the Bitcoin network during nearly every difficulty adjustment period, the pace at which blocks are mined increases until the difficulty is eventually readjusted once again. Having said that, the 164 blocks per day number from January 2018 is a bit more than normal, and 162 blocks were mined per day in December 2017 as well. For 2017 as a whole, the average number of blocks mined per day was around 153, which is near the historical average per day. So, if an extra 10 blocks were being mined per day in December 2017 and January 2018 (as compared to the all-time average), then there was effectively an increase in the supply of block space by more than 600MB over that time, as blocks have been a little over 1MB in size each. In addition to the increased supply of block space by way of more blocks mined on a daily basis, there have also been a number of efficiency improvements enabled in terms of how the blockchain is used by those who wish to create transactions. Bitcoin writer and researcher David Harding recently wrote on this topic on the Bitcoin Wiki. Some methods of cutting down on transactions fees mentioned by Harding included transaction batching, Segregated Witness (SegWit), dynamic fee estimation and UTXO consolidation. Transaction batching is when a payment is sent to multiple recipients via one on-chain transaction. Data made available by outputs.today appears to show an increase in the use of batching over the course of 2017, including an noticable increase starting in late November 2017. Another article written by Harding indicates this technique could enable transaction fee savings of up to 80 percent. Another way to lower transaction fees for everyone is to use SegWit, which is a soft fork that has enabled an increase to the block size limit (and thus the supply of block space). That increase to the block size limit is only enabled if users take advantage of the feature. At press time, around 14 percent of transactions were using SegWit. While there was an increase in SegWit transactions over the weekend, this appears to have been caused by users taking advantage of the currently low fees to consolidate their UTXOs. In addition to batching and SegWit, other methods of using the blockchain more efficiently, such as UTXO consolidation and dynamic fee estimation, may also be leading to generally lower transaction fees. While fees paid on the network have clearly declined, some bitcoin wallets have not taken advantage of the new state of the transaction fee market. Relatively new website transactionfee.info allows bitcoin users to check the price efficiency of any recent transaction. Users of the site can also let others know which wallet, exchange or other bitcoin service was used to generate the transaction. This allows visitors to get a better idea of which services are best at estimating an efficient transaction fee price. 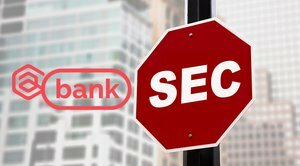 On the homepage, digital asset brokerage Coinbase is often listed as a sender of transactions that could have been sent for an 80 to 90 percent lower fee. According to the site, other bitcoin services that routinely use much larger fees than what is necessary include ShapeShift, Xapo, Electrum and Gemini. Coinbase has received some criticism due to the fact that the extremely popular bitcoin custodian has not implemented batching or SegWit. Having said that, Coinbase CEO Brian Armstrong recently tweeted that the company is working on both methods of lowering fees for their customers. Putting all of this information together, it becomes easier to understand why bitcoin transaction fees have been falling so quickly this year. However, the large number of different variables at play make it difficult to say there is one reason that fees have declined. As these variables change again in the future, fees could rise rather quickly once again. Note: A previous version of this article indicated that Bitcoin transactions from legacy addresses to SegWit addresses are SegWit transactions, but this was incorrect and has since been changed. Interested in sponsorship or exhibition opportunities at Distributed 2018? social-facebook social-twitter Created with Sketch.